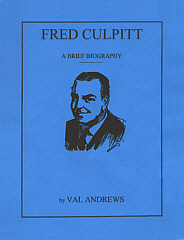 What do you know about Fred Culpitt? Who was he? What did he do for magic? Why is it important to our history? What was his style of performing?